Are you wondering how to rank your Google Maps/Places/My Business page? Great, we get asked this question a lot. This post is step one, it will help you just to get ranked. Once you are ranked, you will likely need to improve your rankings. If you feel your page is already properly optimized, read this post on five ways to improve your Places page rankings. That will give you five simple tips on how to out rank your competition. If you don’t have a My Business page setup or are not the manager/owner of the page, this post is for you so read on. SEO is the process of getting your website listed in the search results. But there is another way to rank in the search results. There’s always another way in fact. You see, last week I wrote a post on how to rank high in Google. That was shortsighted. Depending on what business or industry you’re in, there might be another way to have your website and business rank high. Start by Googling your business, but don’t Google your business name. Instead, pretend you’re a new customer searching for one or all of your products and services. Do you see search results that look like this? 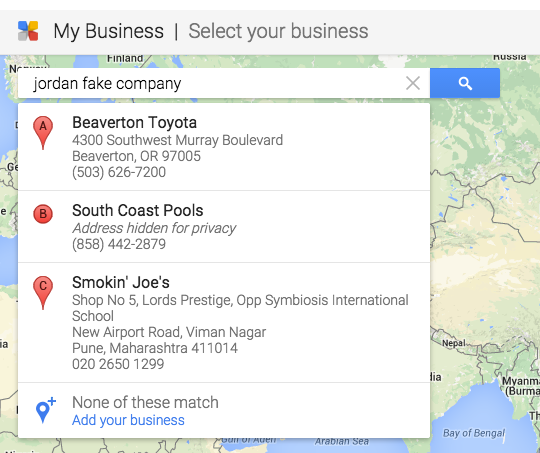 In the above image you see two organic search results, and then a map with 7 businesses listed and Google Map icons. 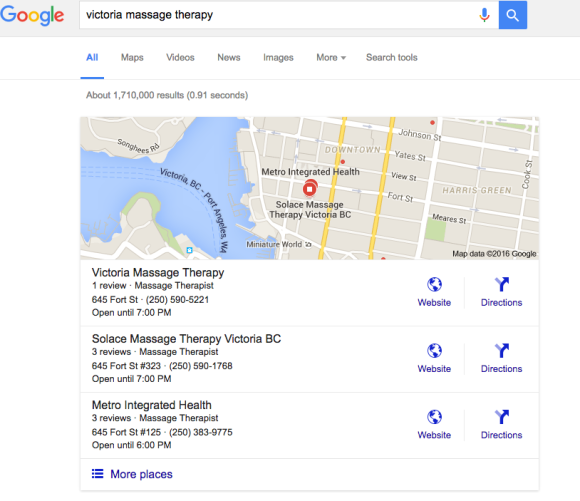 These map-type results are known as Google Places or My Business Pages. As of December 2015, these types of search results are showing up for just about every local search term. By that I mean if you search a product or service and your city name, you’ll see Google Places/My Business pages with the map showing where they’re located. These search results are the exact same if someone were to search for businesses via Google maps. This is part of Google’s latest algorithm Pigeon which is focused on user proximity. In many ways, Pigeon provides an easier way to rank at the top of Google. Instead of investing in local SEO to rank your website, you can follow the steps in this post and rank your My Business page. And I’m going to tell you what it takes to get your business listed and ranked in the “A” position in a couple of paragraphs. Now that you know the benefits, let me show you how to claim, optimize and rank your Google Places page! Over the remainder of this blog post, you will learn how to rank your Google Places page. If you already have a My Business Page and have access to it, jump down to the optimize section. If you don’t know, the first step is to see if your business page is listed. Sign into your Google account. If you don’t have one, sign up for one as you should have Google Analytics, Webmaster Tools and now Google My Business setup under your Google account. Once you have signed up and logged in, go to Google My Business. From there you should see a button titled “Get Your Page”. The following page will have this image. Select the proper definition of your business. No matter what you select you will be asked to search to see if your business is already listed. If this is the case, go to the claiming your listing section. Search for your business name in the box and click on the blue magnifying glass. If it is listed, it’ll show up and you’ll have to claim the listing which you can learn how to do here. If your page wasn’t listed, you’ll have to set one up. After the search you’ll see this screen. 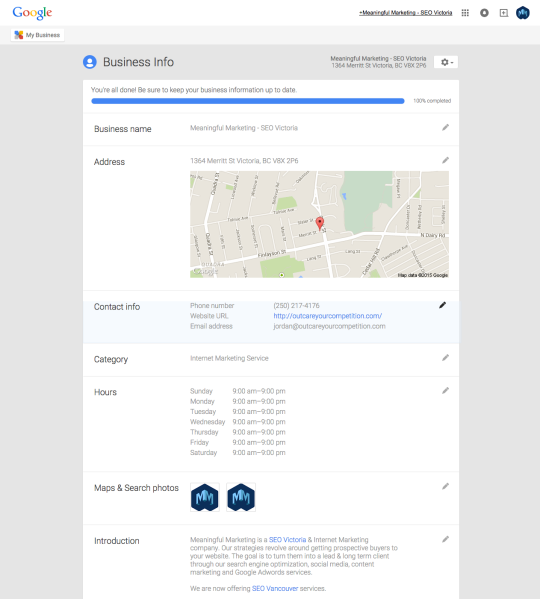 Click on the “Add Your Business” link and this page will appear. Enter all your business details, making sure they are consistent with what is listed across the web. Name, address and phone number are now very important since Google’s Pigeon algorithm hit worldwide in December of 2014. Once you are done you will be asked to confirm that you are authorized to act on behalf of the company. Click continue and you will be prompted to select yes to verify the listing. This will come in the form of a postcard from Google containing a pin # to confirm you are the owner. That takes around 2 weeks. In the meantime, you can still optimize the page so jump to the optimize section! 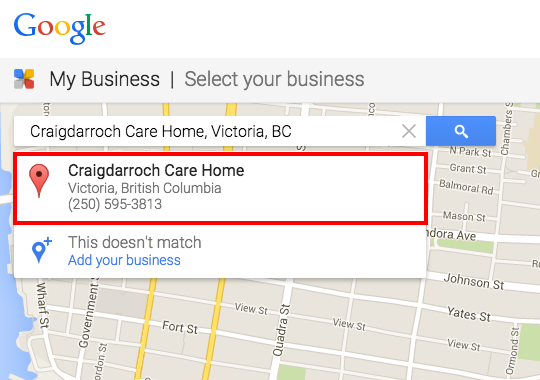 If your business showed up when you searched, click on the business name. The next screen will ask you to confirm if you are the authorized owner. Click the box and hit yes. The next page is where you will be asked to continue and verify you are the owner. Google will send a postcard to the address. The postcard will contain a pin # and instructions on how to verify you’re the owner. You can still optimize your page for better rankings in the meantime. 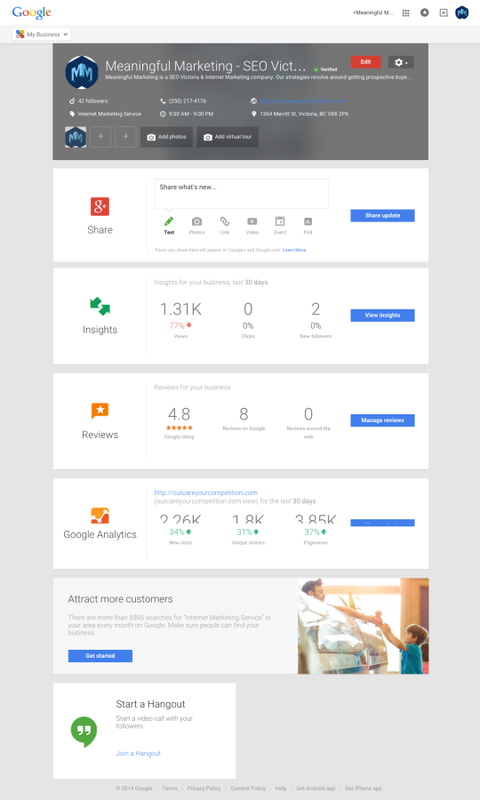 Your Google My Business dashboard will look like this. Hit the red edit button to properly optimize all the areas. I can’t stress enough the importance of consistent name, address and phone number when it comes to your business listings. Business Name – Make sure it’s correct, current and your legal name. Do not try and add any keywords. Doing so will cause Google to flag your page since it doesn’t match up with sites like YellowPages.ca. Address – Confirm that this is the same as what is on your website’s contact page. If you don’t have your address listed, you should for a ton of reasons outside of this one! Contact Info – Make sure it’s the same phone number as listed on your website and in other directories like Yelp and YellowPages. Add your website and main email address as well. Category – You can add up to five services you provide. This is where you will want to determine your five most popular services. You might only have one or two, but add those in. Business Hours – Keep in mind people don’t have to visit your website to find out your hours. They can see that on your page or when they search your business name, so fill them out properly. Photos – Add as many photos as you can. They could be of your store front or of your friendly staff. Make the visitor feel comfortable with you before they’ve even set foot in your store. Be sure to name your photos for some of your keywords/search terms. If you are a plumber use “city name+state/province+plumber.jpg”. Introduction – Write 250 words of unique content that is different from on your website. 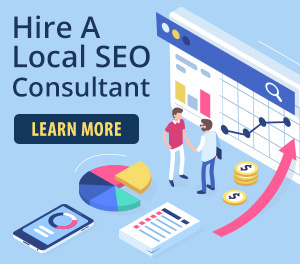 It’s been recommended by various local SEO’s that I connect with that you should avoid keyword stuffing or placing any keywords in your about section. List all of your popular services that people might search for in an easy to read way and put links to important pages on your site, your Better Business Bureau or perhaps Yelp pages for reviews. Once this is done, hit the blue “Done Editing” button. All Done But Now What? 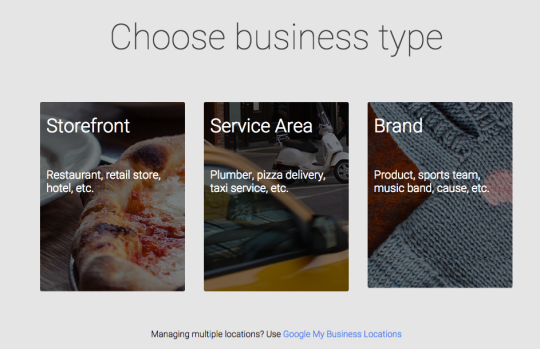 In many cases, simply creating or claiming and optimizing your Google My Business page might get you ranked, but at the bottom of the Places listings. You want to be ranking at the top don’t you? Of course you do! Read our article on five ways to improve your Google Places ranking. That will really improve your Places page rankings. So I’ve covered a lot in this post on how to rank your Google My Business page. 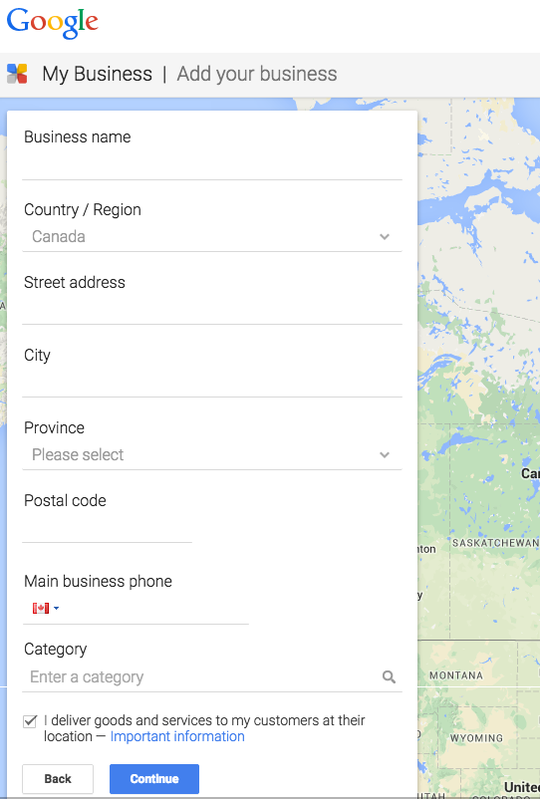 If you have any questions, you can contact us below and/or visit our Google My Business packages page. We have created a few packages and services aimed at helping you improve your rankings.